Exclusive to Maserati owners, the world of Maserati on your smartphone. Engaging stories, interactive content and features to make ownership of your Maserati easier. My role was lead visual designer to work directly with the client through app design, motion studies and asset development. 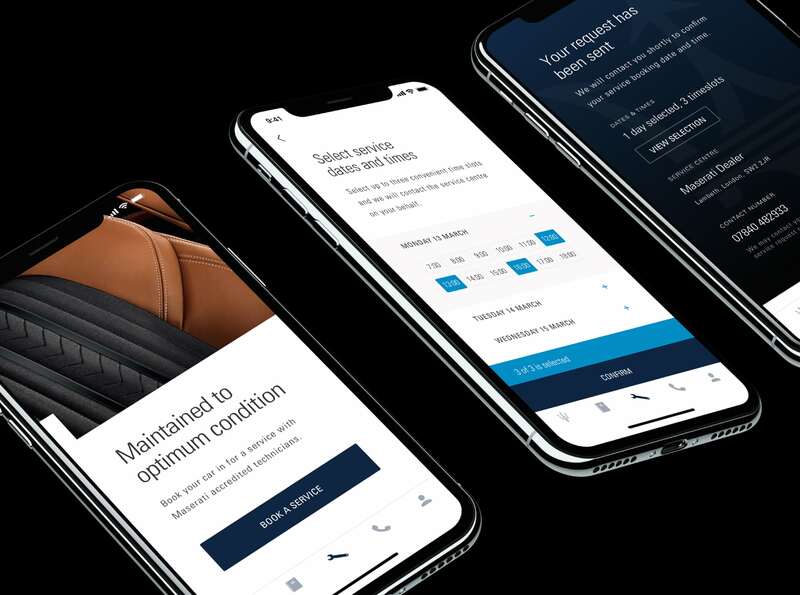 Turning users into protagonists - Maserati Owner delivers immersive and personalised experiences about you and your journey with Maserati. Welcoming users into the fearless family and delivering a unique and luxurious experience on mobile. Guiding owners through the stories behind the Trident and it's luxurious partners. 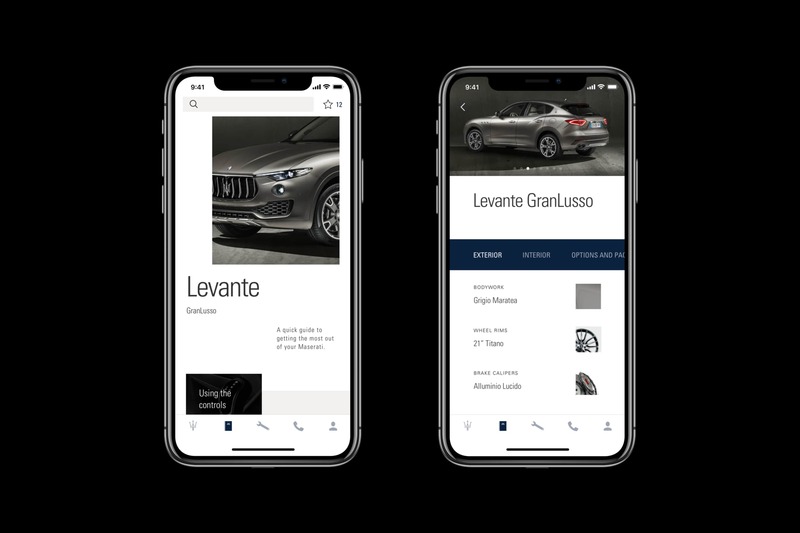 Helping owners make the most of their Maserati by accessing their very own digitised Owners Manual, to booking in their next service with Maserati. Users can get the best from their car while on the go. 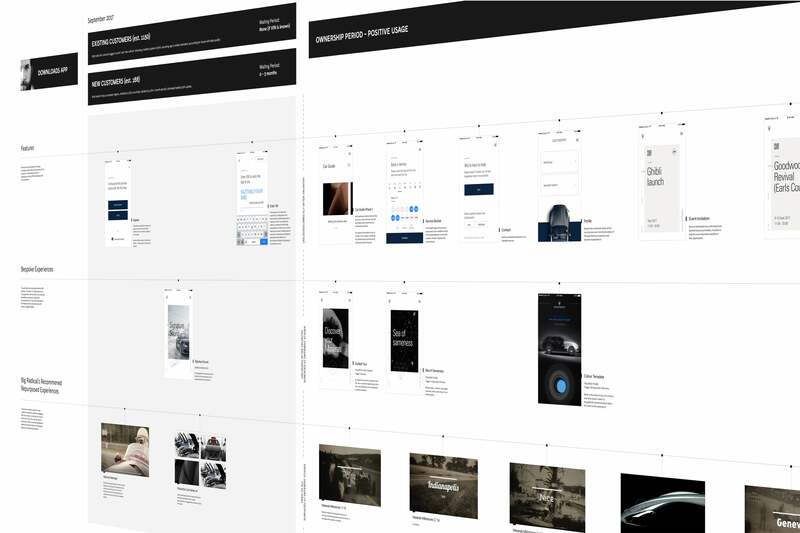 To forge brand love and to ensure a healthy volume of new content for the application, each experience is considered across a lengthy roadmap within the ownership period. 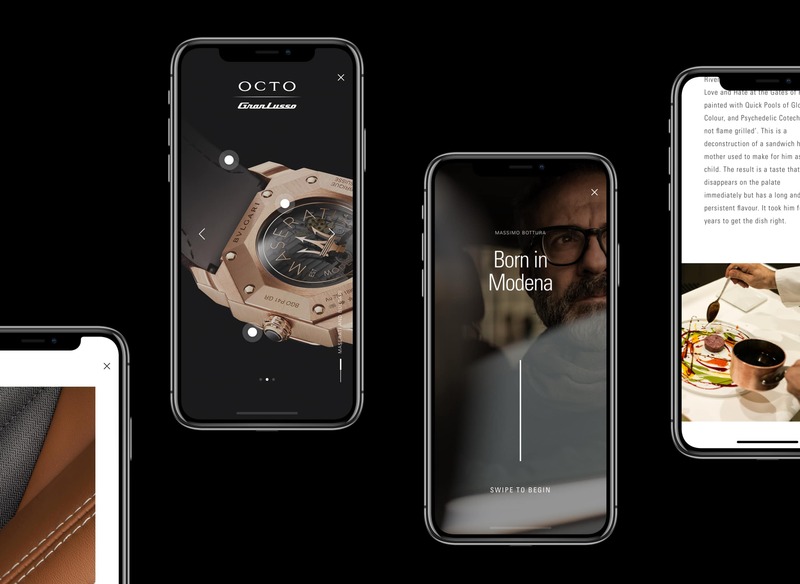 Unlocking the world of Maserati and it's partners - with engaging stories and interactive content. The app comes to life with animation, these motion behaviours referenced the speed and acceleration of a Maserati. Making every kilometre yet to come an adventure.